Grandma was my primary guardian growing up. And like many of our guardians in Chinese immigrant families, Grandma was a mystery, a fish out of water. It may be because of how she mystified me that I never had the ears to hear her stories before she passed away. Yet beyond physical death, stories continue to live and have power. As my ears open to Grandma’s stories now, it’s as if I am hearing them from her Ghost, a legacy she left with me, dormant, to be awakened once I was ready. 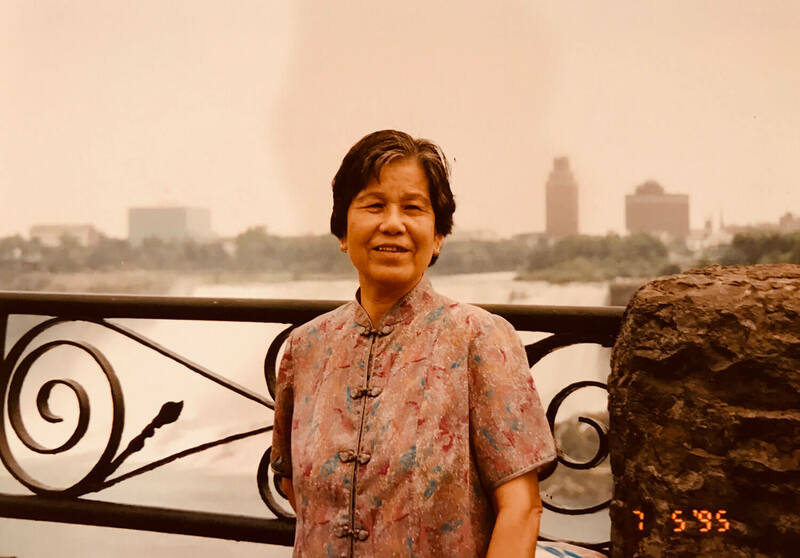 Grandma came to the U.S. in 1995, at the same time my brother and I returned to the States after living with our relatives for over two years in Guangzhou, China. We were welcomed with smiles, hugs, and a brand-new house, bigger than our previous living quarters halfway around the world. My parents had toiled long hours in order to provide such capacious living arrangements. I never questioned why Grandma came with us. We were simply glad she came along. I was neither conscious nor concerned of the permanence of Grandma’s stay upon my arrival, and I soon realized that her residence with us would be crucial to our survival. My parents left for work in early mornings and came back well past dusk every day. It was Grandma who took care of us in the waking hours. Grandma first taught me compassion. Grandma helped me make sense of my parents’ love for me. Where there was an absence of “I love you’s” and time spent, Grandma told me that their labor was the language of their love. In this way, she taught me that I was indeed loved. She also often stood in the gap when my parents exacted their discipline. I still remember how she would insert her soft, maternal pleas, with a measure of passivity but earnest straining from the back of her throat — “he is only a child ... I think he has learned his lesson.” Grandma first taught me compassion. Grandma said things that didn’t always make immediate sense to me. Occasionally, I found myself sitting with her, either in silence or engaging in some kind of mundane leisurely activity like watching TV, when she would begin making comparisons between our feet: “Look at how much more beautiful my feet are compared to your feet! You know, I had one of the most beautiful pairs of feet in my entire village.” I never asked myself the meaning behind Grandma’s exceptionally harsh criticism of my feet. In fact, I looked at my feet and didn’t think they were half bad, so I chalked it up to Grandma having a bizarre feet-centric narcissism. Grandma’s delineation between a truth and lie also seemed questionable to me. “I’ve never told a single lie in my entire life,” I often heard her proclaim with a stoic confidence, completely oblivious to the irony of her testimony. How could she be so blatantly dishonest about honesty? At one point, I even roped her into a lie, and still, Grandma was unyielding. No one seemed to challenge this elite moral integrity of hers, so being the youngest in the family, I also complied. I did this often. 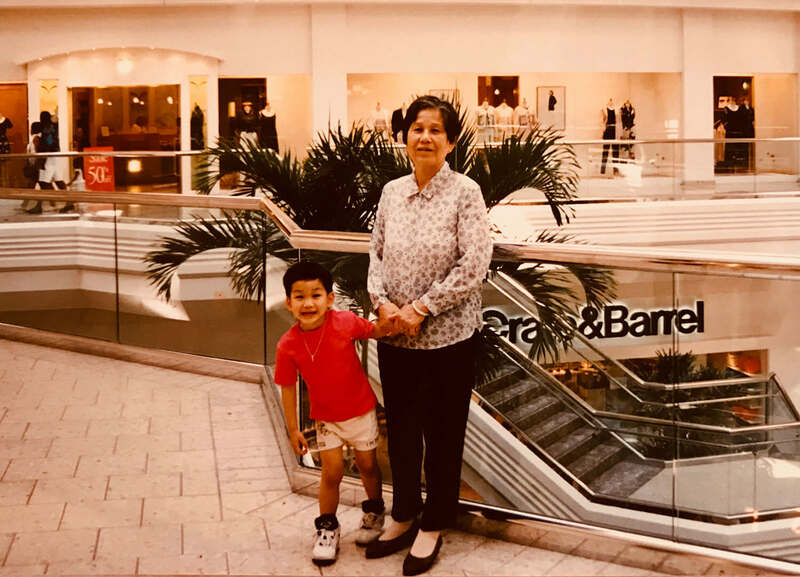 Whenever I encountered Grandma’s eccentricities — the unpredictable reactive remarks, the absurd claims — I chalked it up to Grandma being strange or weird. These were the very descriptions that followed me at school, the very thing I was trying hard not to be, because I was afraid they were true. It is too easy to misconstrue narrative as foreignness when that narrative is not our own. I knew Grandma by my momentary experiences with her, but I knew not the story that shaped her. To me, Grandma was a misplaced character in this American world, and I had not the map nor the compass to navigate beyond it. 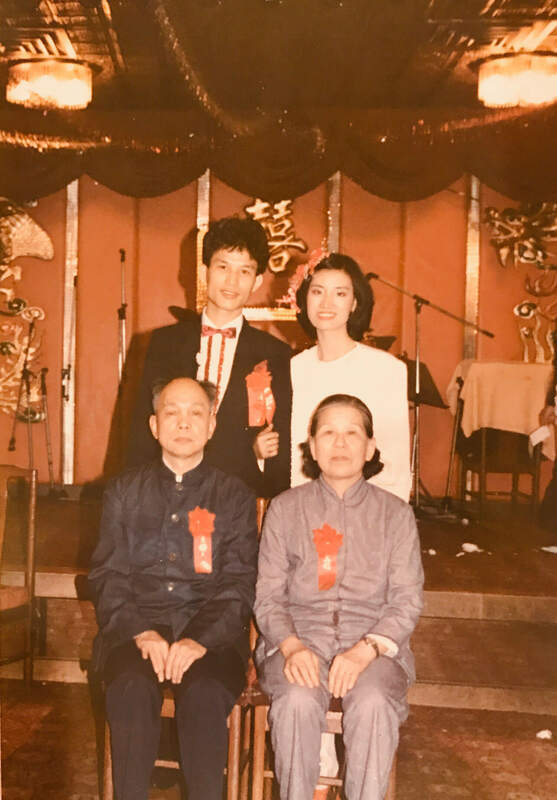 Only after I graduated from college, when Grandma had already passed, did my curiosity drive me to find a way to better place her, through the stories told by authors such as Maxine Hong Kingston, Erika Lee, and Madeleine Thien. Grandma’s Ghost showed me that it is too easy to misconstrue narrative as foreignness when that narrative is not our own. She reminds me now that narrative, not weirdness, is what marks her identity. And in effect, her Ghost also teaches me of my identity. Grandma grew up in a period and place where the patriarchal practice of foot-binding constricted the women in society physically and psychologically by maintaining the size and shape of a woman’s feet. This convention squeezed the blood out, warped and curled the very part of a woman that allowed them to stand, stabilize, and run free. Her Ghost shows me that this could have been her feet. Foot-binding was practiced until the early 20th century in China. They called it an expression of femininity and beauty. In “The Woman Warrior”, Kingston references this haunting past: “My mother said that we were lucky we didn’t have to have our feet bound when we were seven.” Double binds on the female body were and still are a cross-culturally shared history that extends into our present day. In her own words, Grandma was telling me that she could not be bound. All I wanted was for Grandma to tell the truth. All Grandma wanted was to survive. Her Ghost also showed me that her claims of never telling a lie were true. She didn’t lie — because she couldn’t lie. Grandma lived through a China that would take your life if you chose to not confess the “truth” that the Communist Party dictated. Anything contrary to their truth would be a lie. How Grandma delineated truth and lie was utterly different from how I did. All I wanted was for Grandma to tell the truth. All Grandma wanted was to survive. That was her truth. Grandma wasn’t lying. She was living with a traumatized past where the only truth was what kept you alive. The fact that she was here in America proved her claim. She mustered up all her courage to protect her family. She was not a liar, but a survivor. Grandma’s death is still very vivid to me. Her comatose stupor, her bloated body, pale, injected with a multiplicity of medications, the tentacular tubes plugged in every direction into her. Tears were streaming down my cheeks as I was confronted with the grim reality that it was only a matter of time now. My grief overwhelmed me, not because my Grandma was dying, which was inescapable, but because I had squandered my opportunity to sit and reflect with her in her solitude at the end of her life. I grieved because I knew I never lent an ear to her story. I grieved the separation that this created between us. Grandma died in April 2009. I know this moment now to be when the earliest seeds were planted in me to hear from Grandma — to let her stories collide with mine and to allow these stories to change me. “Let those who have ears, let them hear.” Her Ghost shows me that she never lacked the language. When I think of Grandma, I often think about Jesus the Foreigner, who in many ways was unknown by his blood relatives, unknown even by those closest to him. 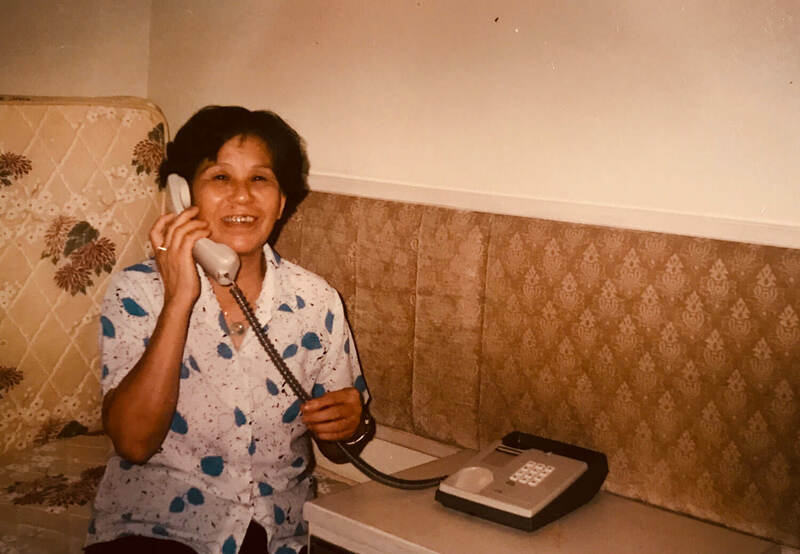 I always thought that the one reason Grandma couldn’t share her truth was because she did not have the language to share it, but the voice of her Ghost rings in my ears. “Let those who have ears, let them hear.” Her Ghost shows me that she never lacked the language. Grandma only becomes clearer to me as my memory adjusts and readjusts my vision of her, allowing her truth to change me from the inside out. Though I didn’t know her personally in her life, I continue to discover more of her in her death. She tells me often that my unreconciled memories are often puzzles most worth piecing together, that my past is not a vacuous pit but a paved way for a collective future, and that foreigners are often vessels of grand truth if I choose to have the language to hear. Thank you, Ma-Ma. I now know that you have never lied, not once in your life. It is also quite clear to me that your feet are unrivaled. I continue to open my ears to hear more of your truth. 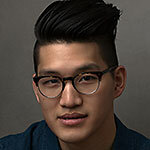 Kevin Hu is a Chicago native and Brooklyn transplant. Having grown up and done pastoral work in Chinese and Filipino immigrant communities has nurtured a passion in him for decolonized, deconstructed, and distinct Asian American stories. Other identities that describe him beyond first and foremost being a writer are — immigrant child, book nerd, hopeless Chicago Bulls fanatic, and software engineer.